Cornelia Diamond Golf Resort & Spa is a 5 Star Hotel with Diamond All Inclusive service. The Hotel is build on beach front over a 200.000 m2 area and has 571 rooms. Nick Faldo is the signature golf course connected to the Cornelia De Luxe Resort and Cornelia Diamond Golf Resort & Spa. With the King, Queen, and Prince combinations it makes for a fantastic 27 hole arrangement. Where is Cornelia Diamond Golf Resort & Spa? The Hotel has its own Golf Course designed by Nick Faldo. The Gloria Courses and the Nobilis Golf Course are very close to this Hotel. The other golf courses are between 5 km (3 miles) to 10 km (6miles) distanced to your golfing holiday hotel. How do I get to Cornelia Diamond Golf Resort & Spa? By booking through www.golfdelights.com you will be welcomed by our professional staff with a white board showing your name at the exit to the airport building. Our representatives speak fluent English and German. Your vehicle and driver will be ready in the parking area. A 40 minutes drive will bring you directly to your golfing holiday resort. If you want to go to the hotel yourself, there are two options. Either you have to hire a car or take a taxi. We can assist you with car rental with our partner companies. How do I get to the golf courses in the area? Cornelia Diamond Golf Resort & Spa is only offering free shuttle service to the Faldo Course. You just contact the reception or guest relation service in the hotel lobb} to take the information about their shuttle time table and prices. www.golfdelights.com can offer private transfers to the other golf courses with our own vehicle fleet . Our representative will inform you on arrival about our shuttles and timings. But if you prefer to go independently to the golf courses, you can take a taxi which will cost approx 35.- Euros return. What are the Hotel facilities & services during my holiday? Cornelia Diamond Golf Resort & Spa is offering you a rich open buffet breakfast lunch and dinner included in the room rate at the main restaurant. The Cornelia Diamond Golf Resort & Spa offers 2 A’la carte restaurants during the winter season, and 5 A’la carte’s during the summer months (May-June). All A’la Carte restaurants have a supplement of 10 Euros beginning. 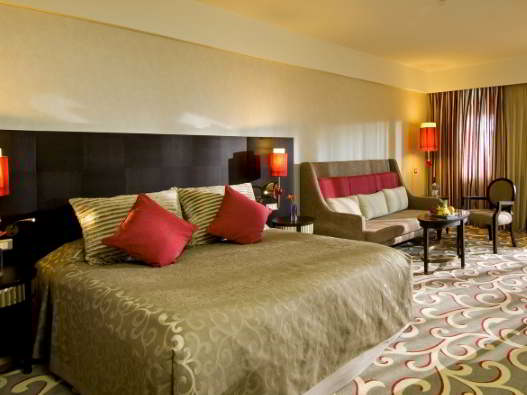 Guests may book the A’la carte restaurants using the phone system in their rooms only. The Cornelia Diamond Golf Resort & Spa offers a variety of bars, 4 bars are open during the winter season and 9 bars during the summer season. There is always 1 bar open 24hrs during both seasons with import drinks available. 10.-Euro service charge applies for each order placed from room service menu from 07:00 to 22:00.At night from 22:00 to 07:00, no service charge applies, alcoholic beverages are served at an extra charge. All outdoor activities may be changed depending on weather conditions. By bookings trough www.golfdelights.com you will receive a full resort representative service. Our Guide will visit you and give you information on the area, Antalya city centre and possible excursions to places of historic and cultural interest. Our selection of excursions are also available on our website. You can also book extra golf at one of the local courses with discounted rates through our Guide. Our Guide will also arrange your shuttle services in advance. What are the Nightlife facilities in the hotel or around? All the hotels in Belek area offer evening entertainment with the animation teams in the hotel. Usually in the summer season (April to October) the evening shows are in the amphitheaters or beaches. There is also live music (vocal or instrumental ) in different areas of the hotel. The Hotel discotheque opens from around 22:00 to 03:00 . Unfortunately the Belek area does not offer as much in the way of nightlife as it does for golf . There are a few local restaurants and bars in the town , but the city of Antalya is much better . Antalya offers very good restaurants, bars and night clubs , especially in the centrally located harbour . We recommend you to ask advice from your Golfdelights Guide. 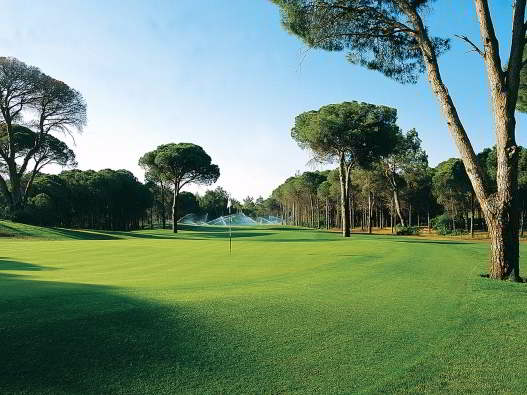 Remember Golfdelights offers you a best available golf packages in Belek, Antalya, Turkey .